Can Caffeine Help Women Reduce Dementia Risk? 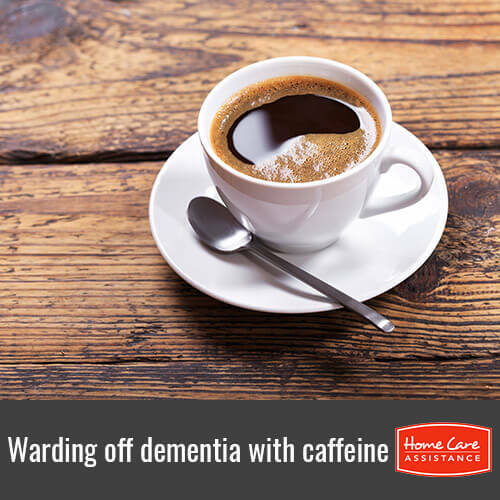 According to a study published in The Journals of Gerontology Series A: Biological Sciences and Medical Sciences, women who consume a certain amount of caffeine daily might be able to ward off the onset of dementia. Below is everything Oshkosh elder care providers need to know about the study and its findings. The study of 6,467 postmenopausal women who lived in the Wisconsin community found that those consuming over 261 milligrams of caffeine daily over the course of 10 years were 36 percent more likely to not develop dementia symptoms or other cognitive medical problems. Researchers analyzed the risk for various social conditions, such as age and education, along with various health conditions like cardiovascular disease and found that they did not influence the outcome of the study. Women over the age of 65 who would like to reduce their risk of dementia must make sure that they consume approximately 24 ounces of coffee daily. That’s the equivalent of about 40 ounces of black tea or approximately 48 ounces of soda. Women can also get caffeine from eating chocolate or coffee flavored ice cream, consuming certain power bars or drinking energy drinks. Many over-the-counter medications also contain caffeine. Elderly women are urged to consider the effect that consuming that amount of caffeine may have on their bodies. For example, doctors generally recommend that a person not consume caffeine after 6pm so that they can get a restful night’s sleep. Women are also urged to consider their calorie intake because many sources of caffeine are also high in calories. According to research by the Mayo Clinic, consuming more than 500 milligrams of caffeine daily can have many negative health effects including irritability, nervousness and muscle tremors. Therefore, women may need to find a healthy balance when it comes to caffeine consumption. As always, women will want to speak to their primary care physician before making any huge lifestyle changes. Further follow-up studies may need to be done to confirm the findings of this study, but so far it looks promising in terms of dementia prevention. Should your loved one be diagnosed with dementia or other cognitive disorders, turn to Home Care Assistance. We are the leading provider of Oshkosh Alzheimer’s and dementia care that boosts cognitive wellbeing and delays the onset of dementia. Call 920-710-CARE (2273) today to set up a free consultation for your loved one.